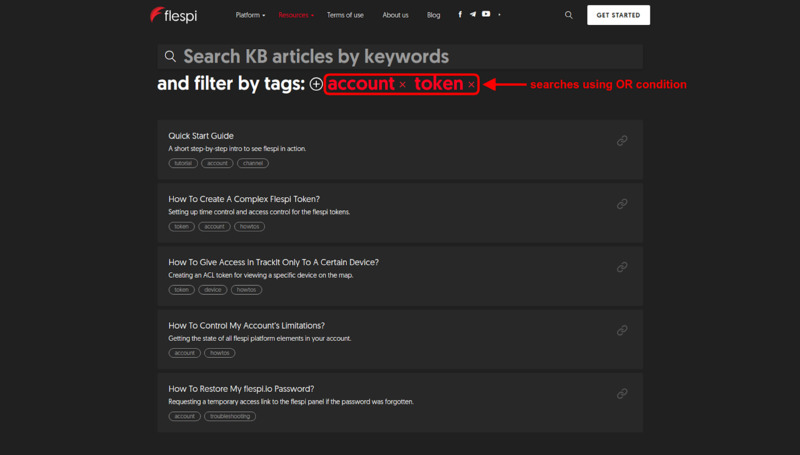 Successful flespi users have inquiring minds. Otherwise, they quickly become flespi university drop-outs. We gave our users a lot of food for thought in our regular blog posts. But we often found ourselves in situations when we needed concise answers to specific questions, and articles were excessive for that purpose. That urged us to create a comprehensive flespi knowledge base — the primary source of answers to any flespi-related questions. You can easily find it in the Resources menu. The knowledge base covers various topics related to the flespi Telematics Hub and has a few key categories: concepts, howtos, and troubleshooting. You can read our KB top to bottom but this can take a while and may generate more questions than answers;) Below are a few ways to help find what you came for. Most of the time when you decide to address the knowledge base you have a specific problem in mind. And you want to solve it. That is why the search bar is so big — it’s inviting you to share your pain and get it cured. Note that the search is done by title and article content, so if you don’t see the word you typed in the title, it will be in the article itself. 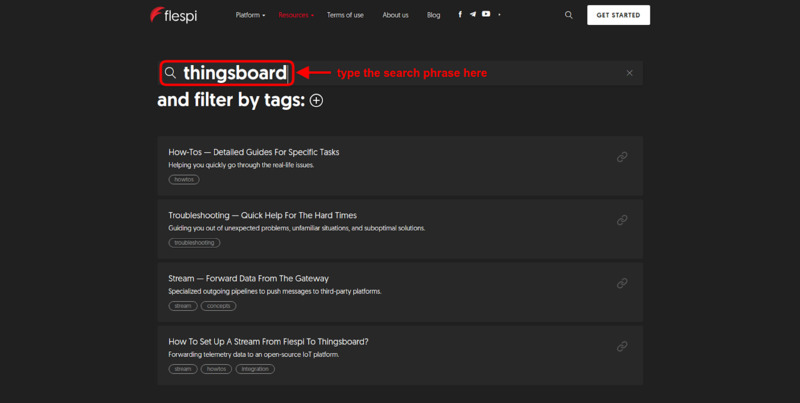 All articles in the knowledge base are assigned one or several tags. The tags correspond to the key ideas discussed in the article. 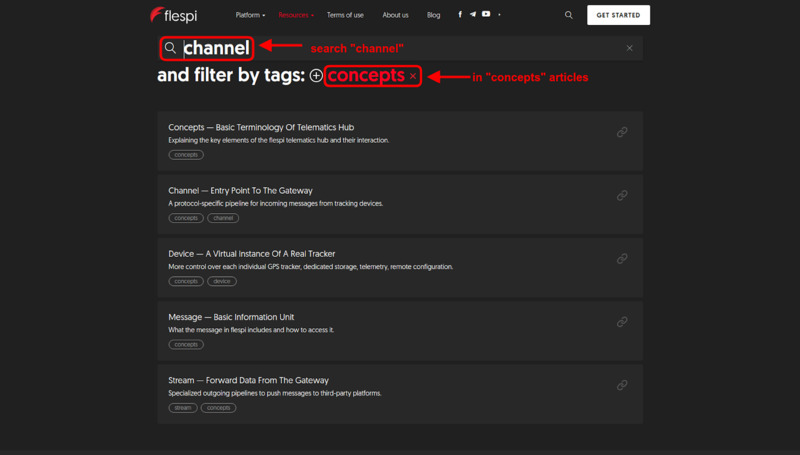 So if you are unsure what to put in the search bar, you can still narrow down the scope of articles filtering by certain tags (that seem to be related to your issue). We’ll keep updating and expanding the content of our knowledge base getting inspiration in your questions and projects. Let us know if anything helpful is missing. Please direct any queries and suggestions to our email.